We are dedicated to this concept and believe that there has never been a better time for everyone to be able to enjoy playing music while benefiting from it’s positive effects. Our own brand names consist of the professional Artesia Digital Pianos and Hitman Electronic Drum Kits plus our FUN-1 instruments for kids. Additionally we are the associate partner and distributor for CME in the US Market. The amazing XKey is revolutionizing how and where music is created with some of the industry’s biggest artists. Our instruments are designed and developed in the US and distributed worldwide, while our Chinese factory is the largest electronic musical instrument factory in the world. With a factory in Asia and a distribution arm in the United States, Virgin Musical Instruments designs, manufactures, and distributes a range of high-value, high-quality instruments designed to compete with the name brands without the name brand prices. 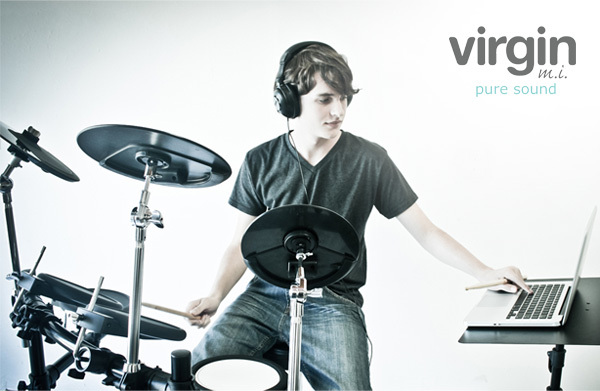 Virgin Musical Instruments is both manufacturer and distributor of Hitman Electronic Drums and Artesia Digital Pianos, and serves as distributor for CME MIDI Controllers and Wireless Systems.